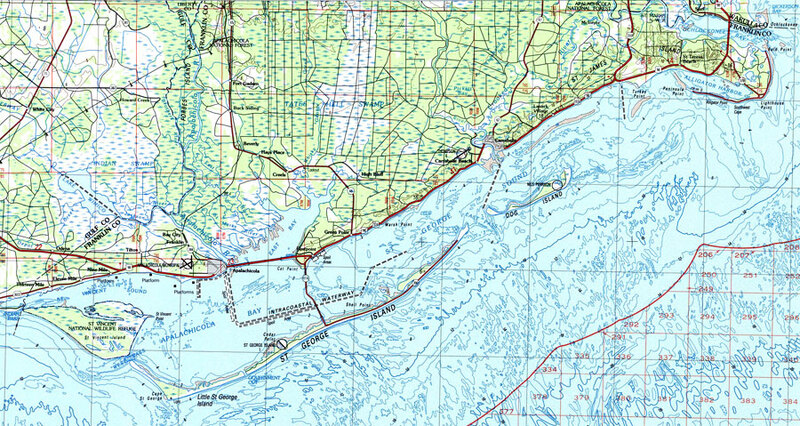 Description: A National Oceanic and Atmospheric Administration topographic-bathymetric map of Apalachicola, Florida current to1988. This map shows contours and elevation in meters, highways, roads and other manmade structures, woodland areas, toponyms, and bathymetric contours. The map scale is 1:100,000. North American Datum 1927 is used. Key to NOAA maps.